Lay summary: Glioblastoma multiforme (GBM) is the most aggressive and common primary brain tumour. One of the characteristics of the GBM cells, as any other cancer cell type, is their resistant to cell death mediated by mitochondria. Mitochondria are multifaceted organelles involved in several cellular processes including response to cellular stress, cell death and cellular metabolism. A major group of mitochondrial proteins may contribute to the resistance of tumour cells to the intrinsic pathways of ell death is the mitochondrial inner and outer membrane ion channels. These proteinaceous channels are not only integral to major functions of the mitochondria, including energy metabolism, they are also involved in regulation of cell death. Our recent data has identified an ion channel within the mitochondrial inner membrane, involved in regulation of mitochondrial bioenergetics and cell death. The opening of this ion channel disrupts mitochondrial metabolism and induces cell death. We hypothesize that the altered biophysical properties and regulation of this non-selective channel may contribute to the resistance of GBM cells to cell death. In this work we will test this hypothesis by comparing the ion channel properties and biochemical interactions within the mitochondria from GBM cells to healthy mitochondria. This mechanism will be utilized to screen for drugs that can induce cell death and inhibit migration and invasion of GBM cells. 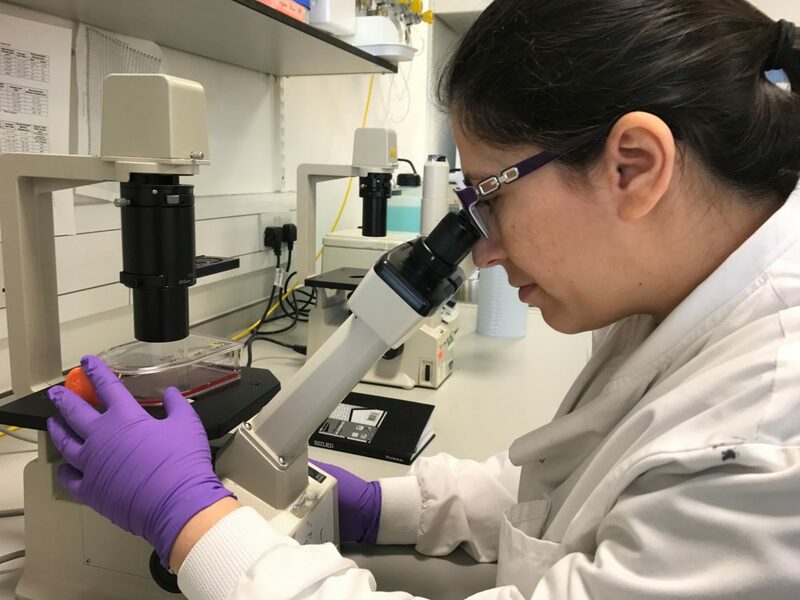 These studies will result in a better understanding of the underlying causes for resistance of tumour (GBM) cells to mitochondrial cell death and will identify novel chemotherapeutic agents for treatment of GBM.